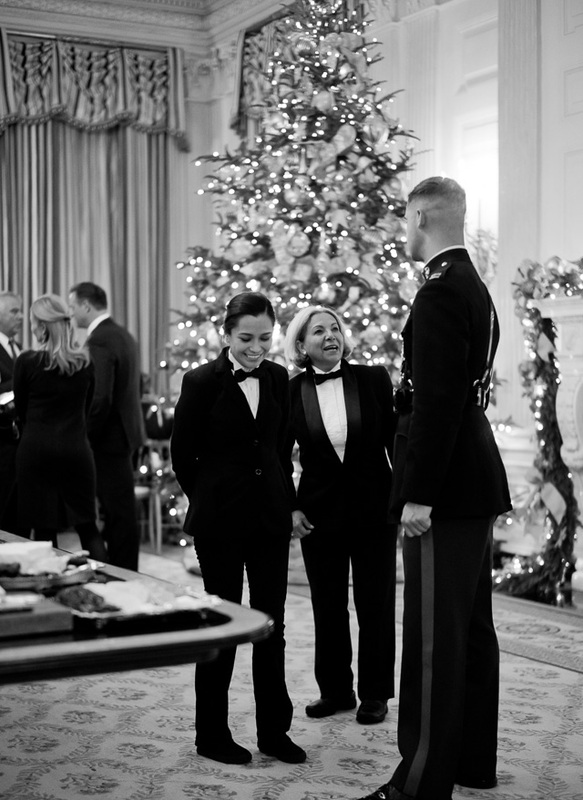 Thorsten Overgaard's Photography Pages - The Story Behind That Picture 185 - "Inside the White House Christmas Reception 2017""
"Inside The White House Christmas Party 2017"
By: Thorsten Overgaard. December 18, 2017. 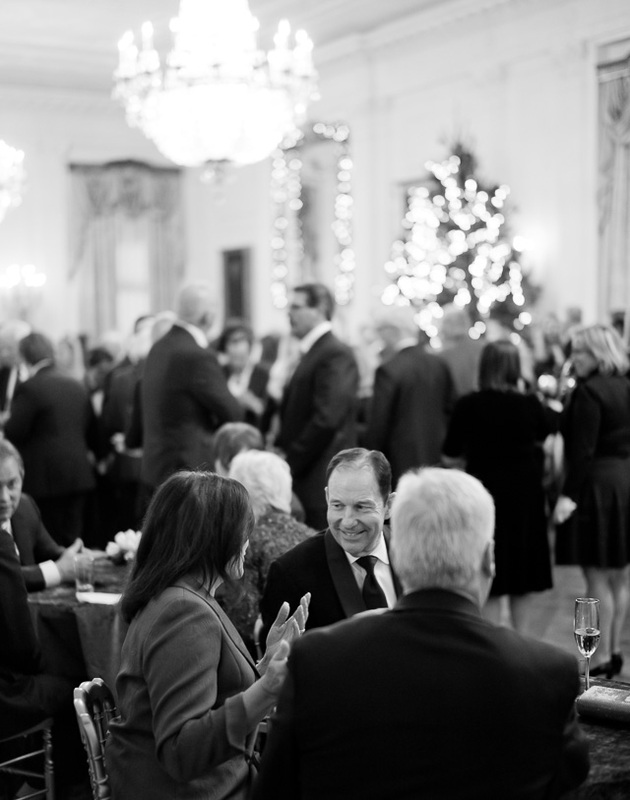 Known as “the hottest ticket in town,” the Christmas Party at the White House was held over three evenings. We attended the first evening with some 125 other couples. 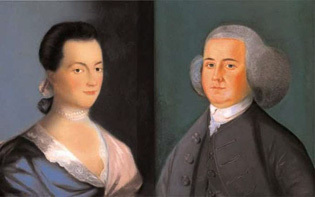 America’s First Power Couple: Charismatic John Adams (“potus2” from 1797 to 1801 of the Federalist Party), and his wife Abigail, an opinionated, well-read woman, ready to take on any challenge. Abigail worked at helping her husband build a new nation, expressing her thoughts and opinions to him on everything from a woman’s role in government, to the education system, and even slavery. 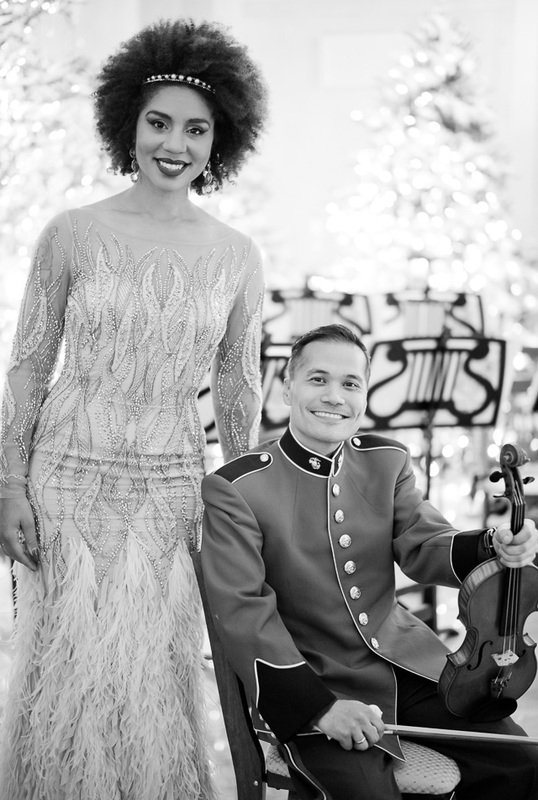 In December 1800, President John Adams and First Lady Abigail Adams celebrated the first Christmas at the White House with their family and close friends. 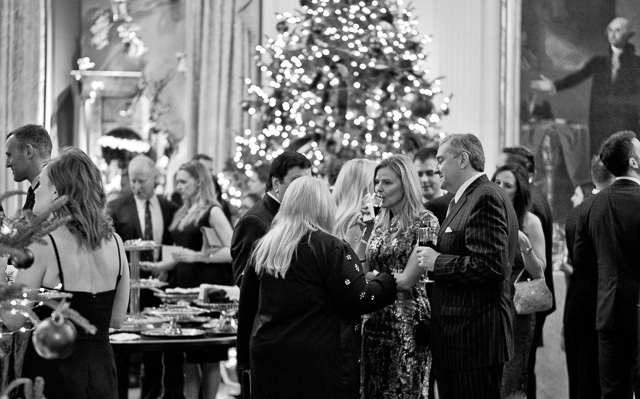 Since that time, each First Family has shared the tradition of Christmas at the White House. Christmas is traditionally the Mass for Christ, though better known in today’s society as traffic jams, buying presents for the children and the family, indulging in good food and candy; mostly followed by regrets and visits to the gym in the weeks following. Christmas is often referred to as the Holiday Season, as it’s a holiday for most people. 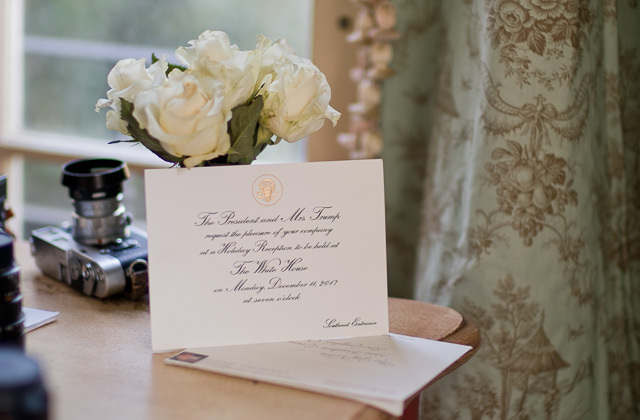 The invitation to the White House Christmas Reception. Leica TL2 with Leica 50mm Noctilux-M ASPH f/.0.95. 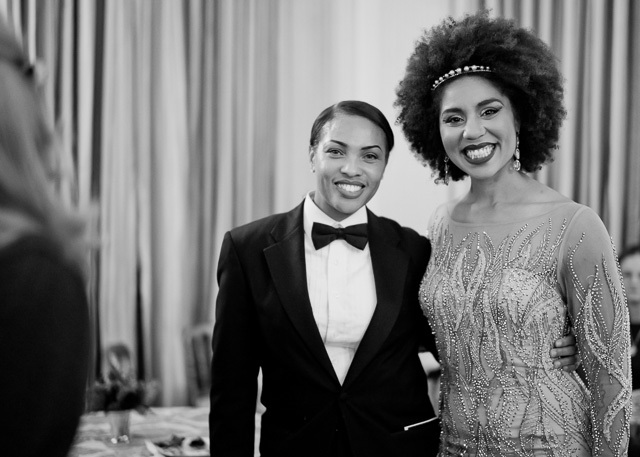 Joy Villa with a new TRUMP clutch made for the occasion, in the East Colonnade of glistering wintery branches. The East Wing had been decorated with stars; one for each Gold Star family, honoring the men and women of the Armed Forces. 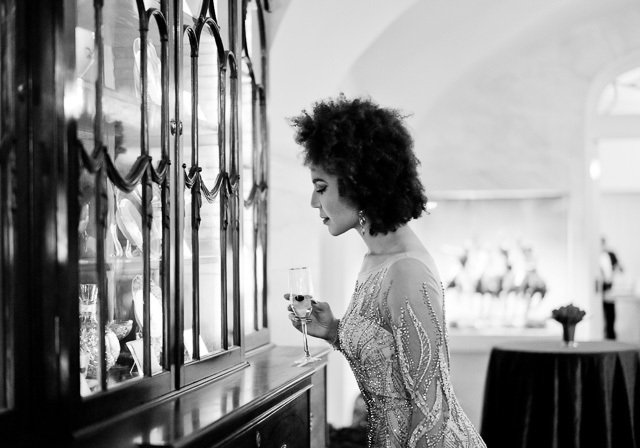 Dress by Balizza of Milano. © 2017 Thorsten von Overgaard. 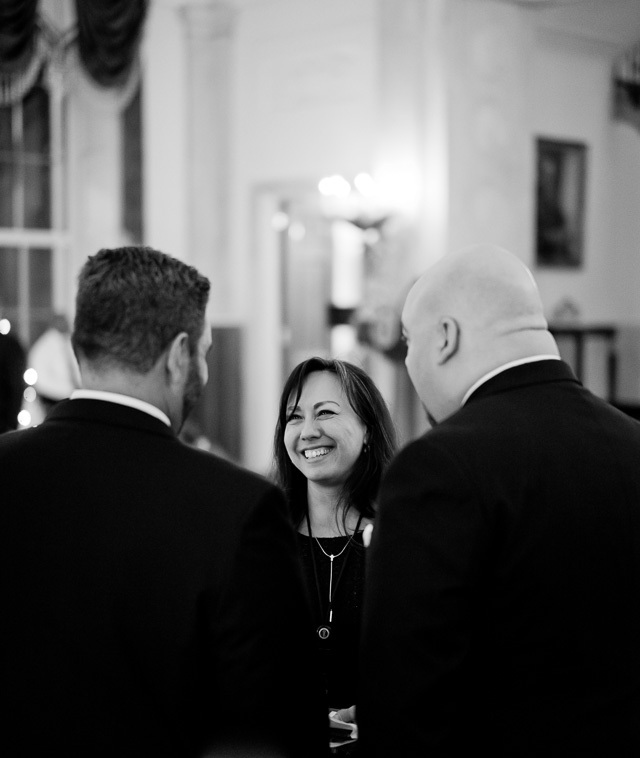 Special Assistant to the President, Jennifer Korn, talking with guests in the Entrance Hall of the White House. Leica M10 with Leica 50mm Summilux-M ASPH f/1.4 BC. © 2017 Thorsten von Overgaard. 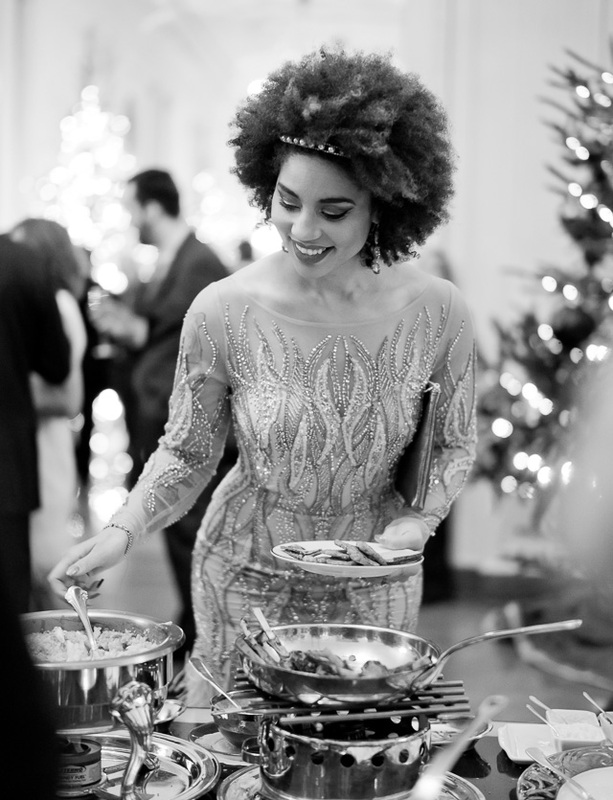 The big buffet in the East Room of the White House. Leica M10 with Leica 50mm Summilux-M ASPH f/1.4 BC. © 2017 Thorsten von Overgaard. 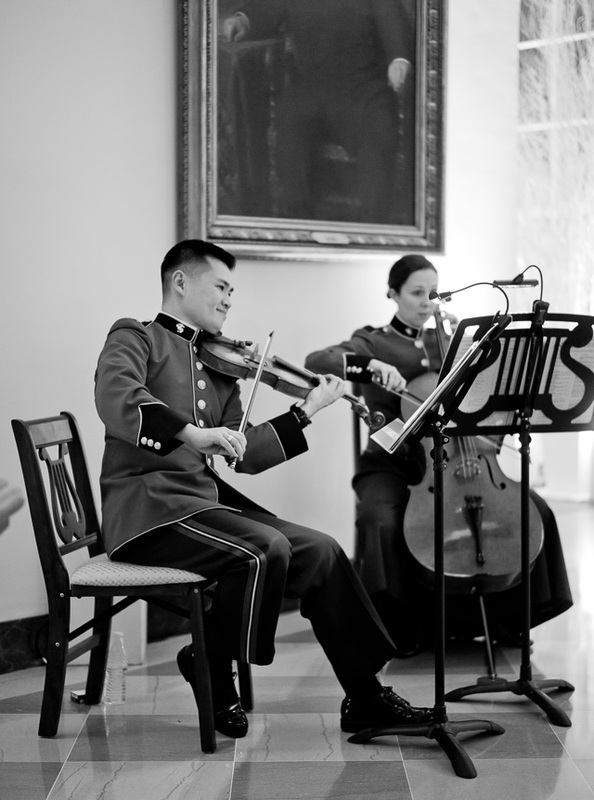 Music greets the guests upon arrival through the East Wing. Leica M10 with Leica 50mm Summilux-M ASPH f/1.4 BC. © 2017 Thorsten von Overgaard. 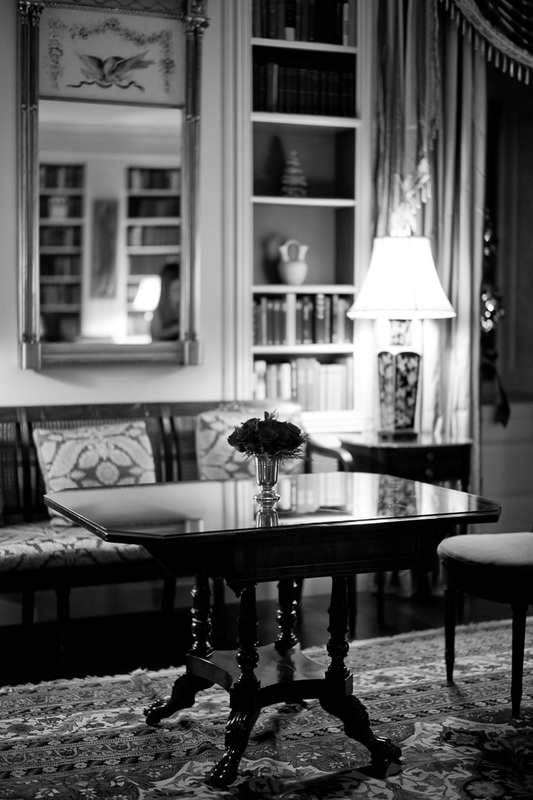 The Library, the cinema and many other rooms of the White House were open to guests, all packed with historic books, paintings, and details. Leica M10 with Leica 50mm Summilux-M ASPH f/1.4 BC. © 2017 Thorsten von Overgaard. The Library of the White House. Leica M10 with Leica 50mm Summilux-M ASPH f/1.4 BC. © 2017 Thorsten von Overgaard. 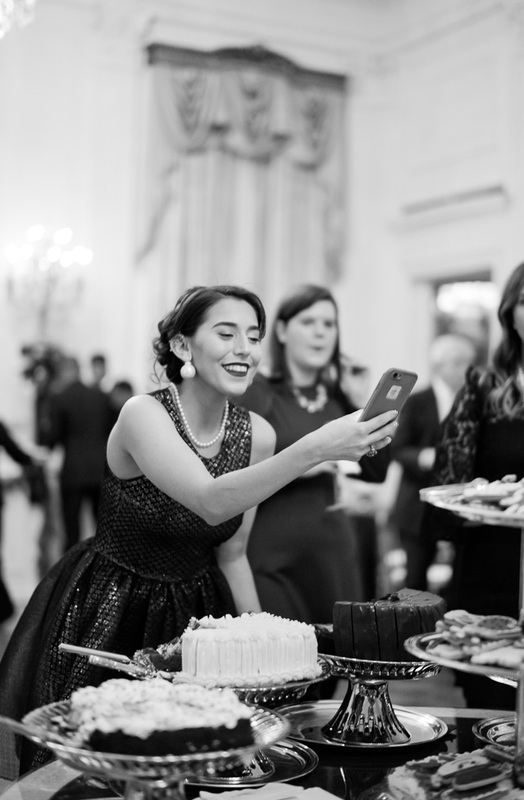 The State Dining Room and the East Room had large buffet tables, refilled non-stop with delicious food and desserts throughout the evening. Everything you’ve heard about the White House staff delivering service of the highest carat, is true. Leica M10 with Leica 50mm Summilux-M ASPH f/1.4 BC. © 2017 Thorsten von Overgaard. 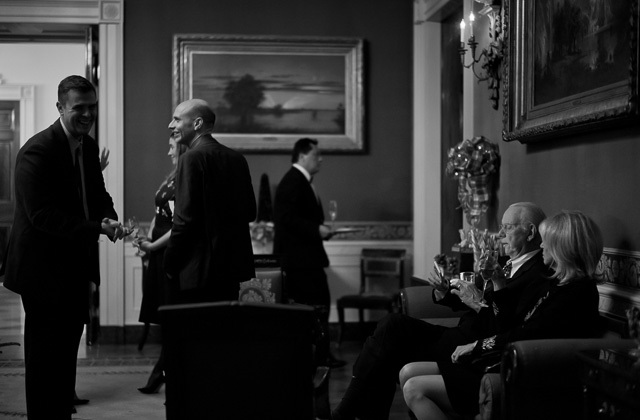 The East Room. Leica M10 with Leica 50mm Summilux-M ASPH f/1.4 BC. © 2017 Thorsten von Overgaard. I saw this photogenic scene from the other side of the buffet and started photographing. 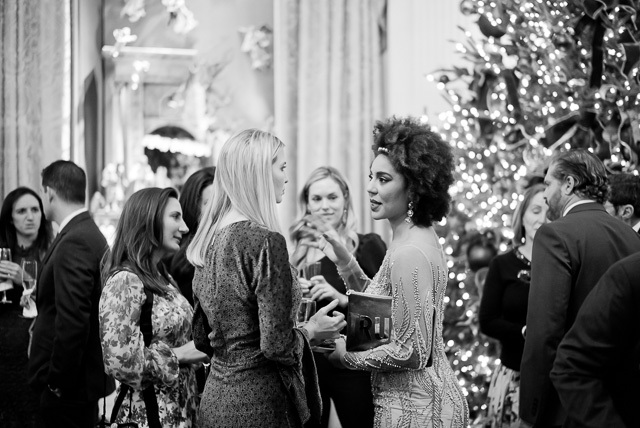 It took me five minute before I noticed that Joy was talking with First Daughter Ivanka Trump. Leica M10 with Leica 50mm Summilux-M ASPH f/1.4 BC. © 2017 Thorsten von Overgaard. 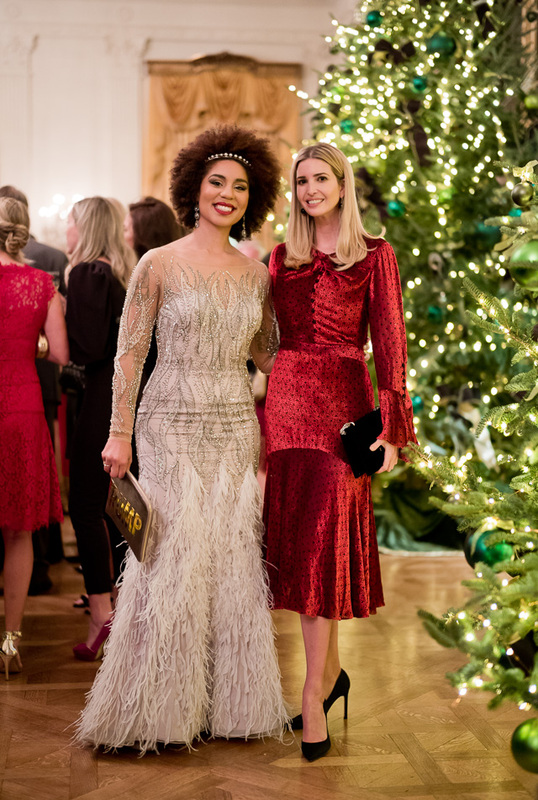 Joy Villa and Ivanka Trump. Leica M10 with Leica 50mm Summilux-M ASPH f/1.4 BC. © 2017 Thorsten von Overgaard. 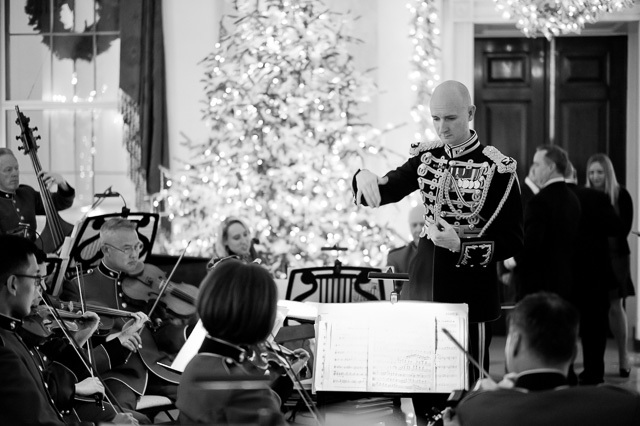 The orchestra played Christmas classics throughout the evening. Leica M10 with Leica 50mm Summilux-M ASPH f/1.4 BC. © 2017 Thorsten von Overgaard. ginoman is a fellow Leica shooter, as it turned out. He has been with the White House for 20 years. Leica M10 with Leica 50mm Summilux-M ASPH f/1.4 BC. © 2017 Thorsten von Overgaard. Christmas and sugar. Leica M10 with Leica 50mm Summilux-M ASPH f/1.4 BC. © 2017 Thorsten von Overgaard. The true spirit of Christmas. 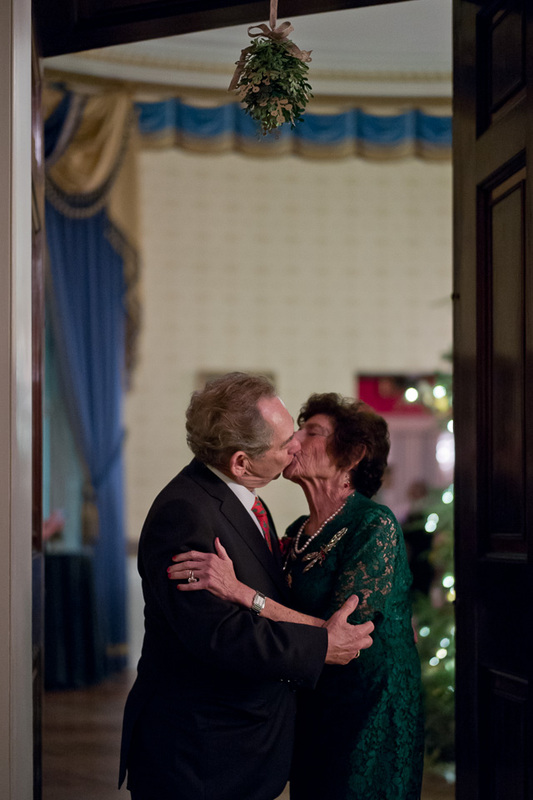 Kissing under the mistletoe in the doorway to the Blue Room of the White House, Washington DC during the Christmas Reception 2017. Leica M10 with Leica 50mm Summilux-M ASPH f/1.4 BC. © 2017 Thorsten von Overgaard. The Red Room. Leica M10 with Leica 50mm Summilux-M ASPH f/1.4 BC. © 2017 Thorsten von Overgaard. Not many photos are possible of the security of the White House, but this should give an idea. Leica M10 with Leica 50mm Summilux-M ASPH f/1.4 BC. © 2017 Thorsten von Overgaard. 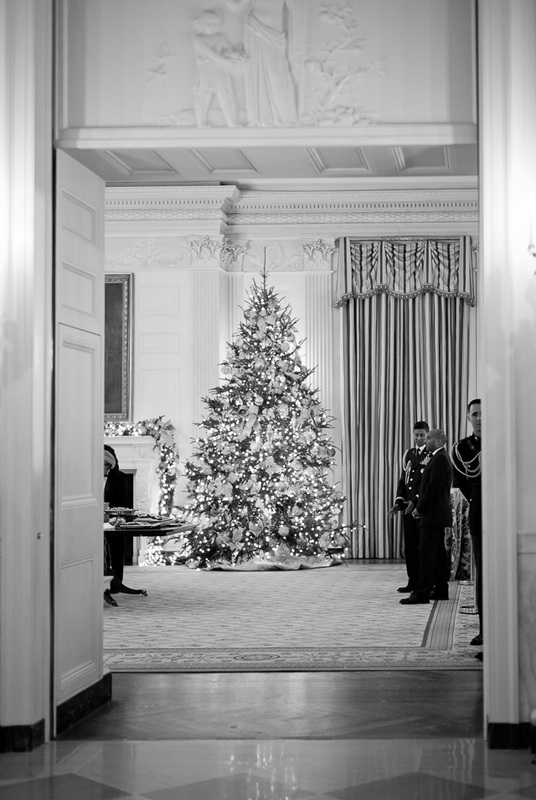 A peak through the doorway to the State Dining Room. Leica M10 with Leica 50mm Summilux-M ASPH f/1.4 BC. © 2017 Thorsten von Overgaard. 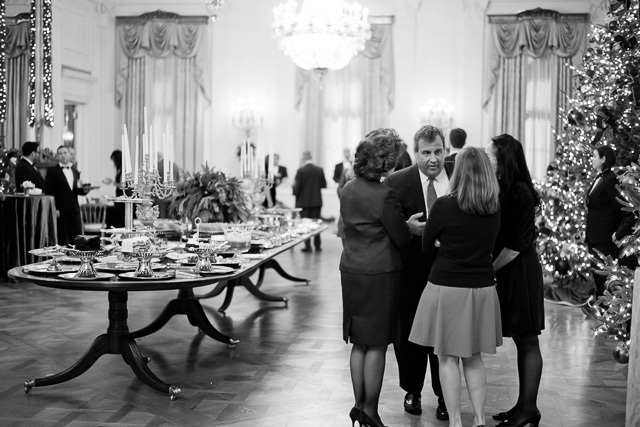 Governor of New Jersey, Chris Christie in a conversation in the State Dining Room. Leica M10 with Leica 50mm Summilux-M ASPH f/1.4 BC. © 2017 Thorsten von Overgaard. 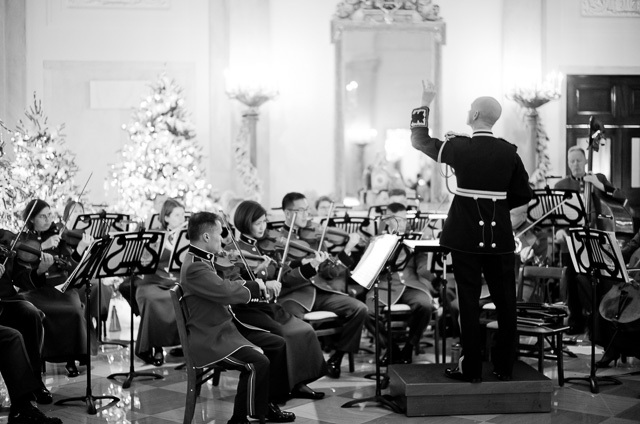 The orchestra in the Entrance Hall of the White House. Leica M10 with Leica 50mm Summilux-M ASPH f/1.4 BC. © 2017 Thorsten von Overgaard. 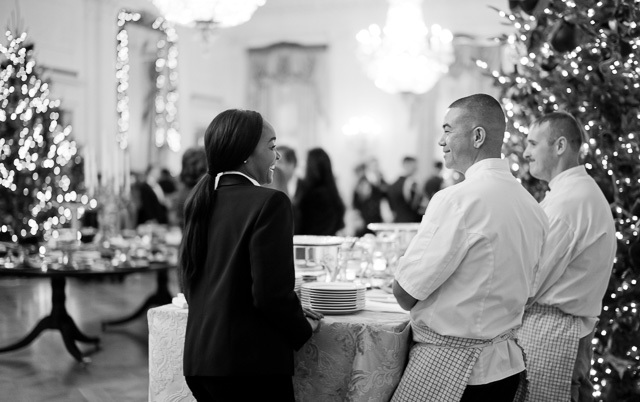 The White House staff joining in on the Christmas atmosphere in the State Dining Room. Leica M10 with Leica 50mm Summilux-M ASPH f/1.4 BC. © 2017 Thorsten von Overgaard. 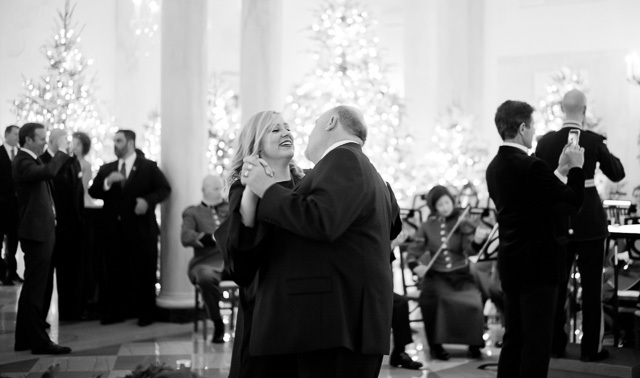 Father-and-daughter of Family Anderson dances in the Entrance Hall of the White House. Leica M10 with Leica 50mm Summilux-M ASPH f/1.4 BC. © 2017 Thorsten von Overgaard. 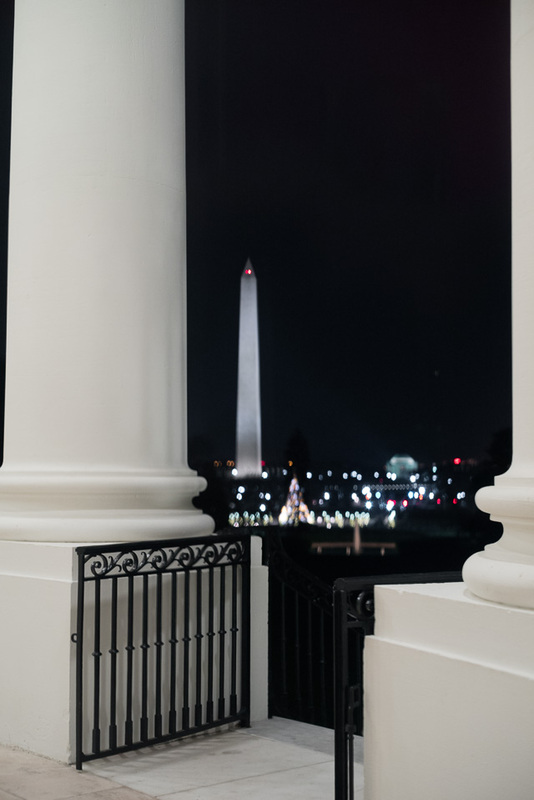 A view to the George Washington Monument from The White House. Leica M10 with Leica 50mm Summilux-M ASPH f/1.4 BC. © 2017 Thorsten von Overgaard. The State Dining Room. Leica M10 with Leica 50mm Summilux-M ASPH f/1.4 BC. © 2017 Thorsten von Overgaard. The staff at the White House are in a class of their own. Leica M10 with Leica 50mm Summilux-M ASPH f/1.4 BC. © 2017 Thorsten von Overgaard. 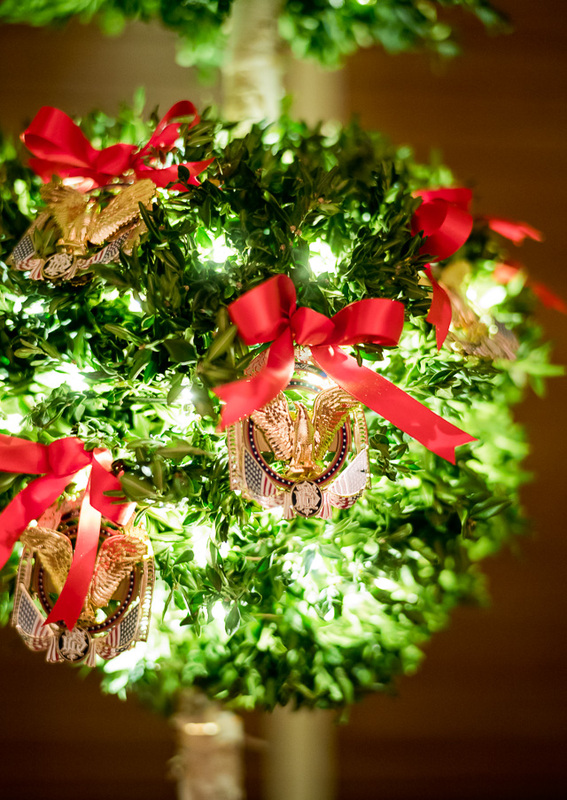 Detail of one of the Christmas decorations in the window of the Vermeil Room. Leica M10 with Leica 50mm Summilux-M ASPH f/1.4 BC. © 2017 Thorsten von Overgaard. 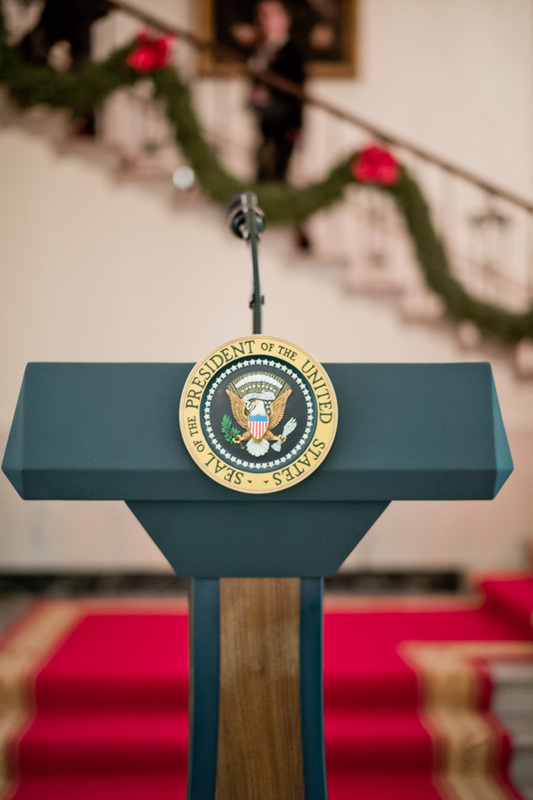 The President gave a short speech to the guests. Leica M10 with Leica 50mm Summilux-M ASPH f/1.4 BC. © 2017 Thorsten von Overgaard. All the photos were done with the Leica M10 at 3200 ISO, DNG only. 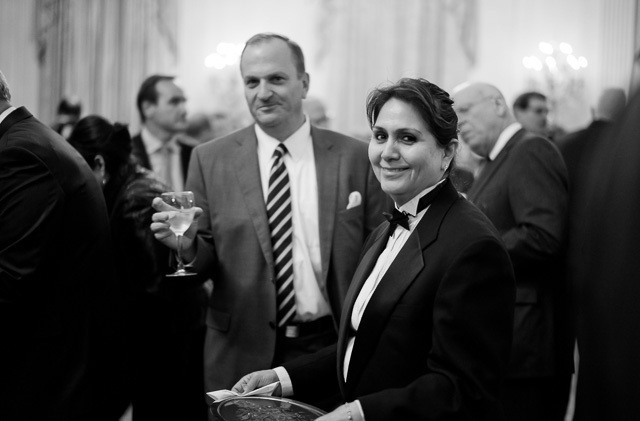 The conversion to black and white was done with my "Leica M9 black & white tones" preset for the M10. 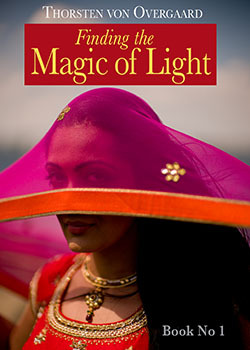 Often, when there is LED light soures present, (as in all the Christmas trees), color photography becomes difficult (because the LED light typically has a Kelvin above 12,000 and the lamps are 2,000 - 3,200 Kelvin).) Most photos were photographed at manual after I used he camera's light meter to determine the approximate exposure and checked the screen. That was my Story Behind That Picture this week. I hope you enjoyed this look into the White House. As always, feel free to e-mail me at thorsten@overgaard.dk with questions, ideas and suggestions. 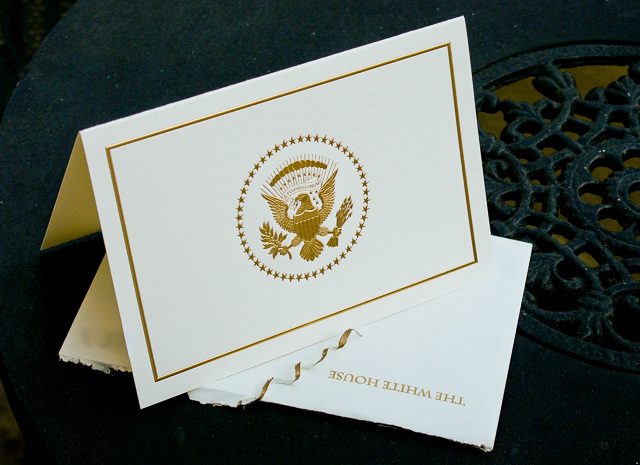 The first official White House Christmas card was sent out by Dwight D. Eisenhower in 1953. Here is the 2017 Christmas Card from Donald Trump, Melania Trump and Barron Trump. 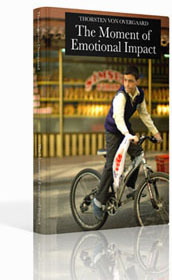 Leica Digilux 2. © 2017 Thorsten von Overgaard. All pictures are copyrighted. No usage allowed withour prior permission. Above: The true spirit of Christmas. 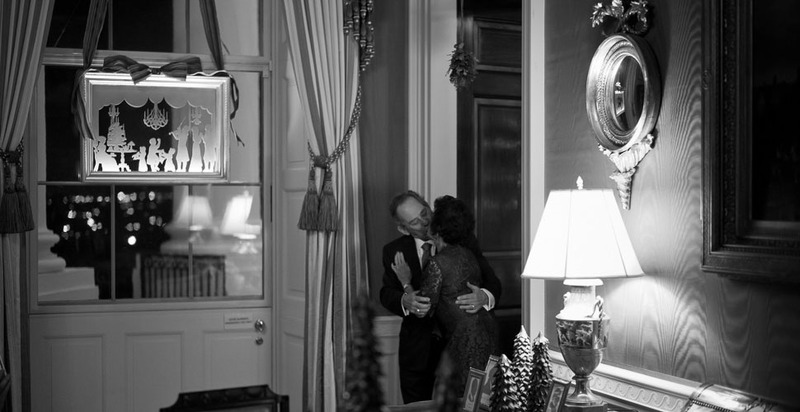 Kissing under the mistletoe in the doorway to the Blue Room in the White House, Washington DC during the Christmas Reception 2017. Leica M10 with Leica 50mm Summilux-M ASPH f/1.4 BC. © Copyright 2017 Thorsten von Overgaard.